East Coast Drive has a Secret Sound winner live in studio! KZN’s dirtiest little secret has finally been revealed. 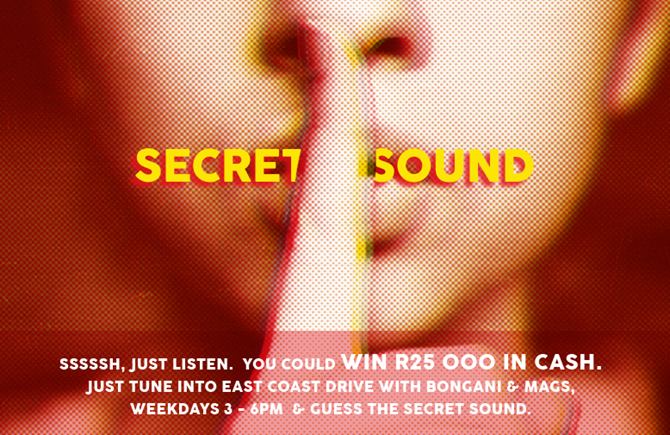 Twelve lucky East Coast Drive listeners won the chance to join the team in studio and guess the Secret Sound live. When the contestants arrived, their phones were confiscated, they drew numbers from a hat to determine the order in which they would guess, and they were kept in a room with no access to the radio. One by one, the contestants made their way to the studio and each had their shot at KZN’s dirtiest little secret. Only at the end of the show was it revealed if there was a winner. Take a listen to the incredible moment right here!